Posted April 27, 2017 in Community, News by Nicole Leatherman. DaVita’s annual Villagewide meeting kicked off April 26 at the Colorado Convention Center with a massive community service project, known as a Village Service Day. During the event, DaVita established the GUINNESS WORLD RECORDS™ title for most bicycles donated to charity in one hour by building and gifting 979 bikes to Denver-area children. More than 4,000 DaVita teammates participated in a bike-building lesson and then hand-built and donated the bikes in partnership with Be Legendary, a Boulder, Colorado based organization that provides community experiences for companies worldwide. Approximately 750 children who received bikes attended the event with their parents and counselors through Denver Kids, an organization that helps Denver Public Schools students who face personal challenges successfully complete school. DaVita teammates and their families and friends have volunteered nearly 140,000 hours through 3,600 community service projects since 2006. These service days take place throughout the country and the year. This Village Service Day constitutes DaVita’s largest-ever Village Service project to date and closely aligns with DaVita’s commitment to educating children about health, wellness and the benefits of being active. Villagewide has been a DaVita tradition for 18 years. During the meeting, which runs through April 29 this year, teammates from around the world not only participate in a community service project, they also hear from senior leadership about company updates and clinical initiatives. Additionally, teammates engage in an array of personal development and education sessions. Between meetings, they learn about our ancillary businesses in the friendly, Fun (after all, Fun is one of our Core Values at DaVita!) and expo-like Village Square. Nicole has a passion for creating content that helps others learn more about health and wellness. 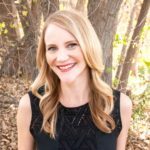 She is a manager on the communications team at DaVita, and has been a writer and editor for more than 15 years. The bulk of her experience has been focused on health and nutrition content, and she has a bachelor’s degree in journalism from San Diego State University. When she isn’t writing or editing, she spends time in the yoga studio, on mountain trails in Colorado and in the kitchen creating recipes. This is the coolest thing I’ve seen in a long time. Way to go guys. You are awesome! These Comments are the comments worth Reading a warm Gift straight from the Heart!!! I am so happy to stumble across something that warmed my spirit and made me say, “See, I’m not the only one who loves helping!” Wow, I can almost feel the excitment come through the article from both sides. I hope to work for a company like that again one day. Country Doctor Community Clinic was like this, we threw a Christmas party every year for the neighborhood’s kids. It was the best! Anybody could come, and every child left with at least one awesome present, and usually a bunch of little things too for their stockings. Then there was pictures with Santa and the games and crafts where they could make a gift for Mom, Dad, or a sibling. This was my favorite thing I was involved in all year, and every time a kid opened a gift, I was the one that felt like I was the one who received it. A true story of inspiration. My only gripe is that it’s sad that it’s a world record. I hope we can have things like this not be such an isolated event, and have “giving” become more the standard thing to do in everyone’s lives. But still, I am inspired to the tips of my toes!